Make up to £20,000 a year. 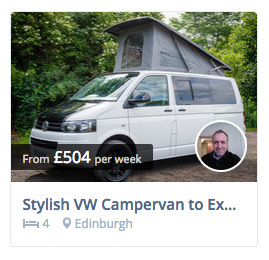 Lots of holidaymakers are looking for a motorhome to rent daily. On Goboony you will get bookings from travellers you can trust. We have checked their profiles, and we always ask for both parties to write an honest review of their experience. 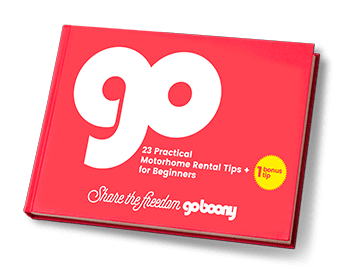 Listing your motorhome(s) on Goboony is always free for owners. No monthly fees or subscription models. When your motorhome is rented, you will get your rate full stop, 100%. The traveller will pay a fee for our service. Goboony is a great site, easy to use, and has been good for our little business. I would recommend it for people wanting to rent out their camper and those looking for a holiday! Sally has been renting her motorhome for a few years. She's been with Goboony since 2018. I deal with Goboony a lot and they are very professional. Everything regarding camper rental is clear and most importantly they get tons of bookings! Andy rents out several converted campervans on Goboony and has been with us since 2017. Of course your motorhome is insured for personal use. You now need to make sure your insurance also covers rental. If this is not the case, we advise you to contact your insurance provider. Most insurance companies do cover rent with a special renting module. You will earn back those extra costs within one week of rental. Read more about motorhome insurance options in this blog post. Goboony will deal with the deposit. All you have to do is set the amount. We have separated deductibles and deposits. You don’t necessarily have to set those at the same amount. If the maximum deductible amount exceeds the deposit, we can always invoice the hirer afterwards. Of course you don’t want your renters to get stuck on the side of the road, but these things can happen. Most of the time, roadside assistance will be arranged by your insurance company. Unfortunately, A hirer can’t insure this by themselves. If you have this sorted out, you will be ensuring the best possible service and have an advantage over other Owners. Renters can assure the owner by adding verifications to their profile. We verify an email address and phone number, but also linked profiles like Facebook and Google+ will help trusting renters. Furthermore, reviews that a renter has on his profile will help you decide whether you want to rent out your motorhome to this renter. Payments through Goboony are safe and secure. 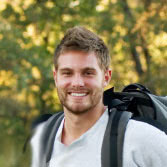 Our processes are designed to protect both the traveler and you, the owner. As soon as the traveler has paid, the status of the booking changes into “confirmed”. If the key exchange went well, we transfer the money to your account 24 hrs after. Afterwards, the renter will leave a review about your motorhome and his experience with it. This review will appear on your listing page. Good reviews result in more booking requests. So make sure your renters come back home happy! Renters can find your motorhome by searching a date. You can easily keep track of your availability in the calendar. Are you leaving with the motorhome yourself? You can easily block periods. This way, you will only get booking request for the periods that you are really able to rent out the motorhome. You decide the rate and you can also determine a high season and a low season. You can also determine the renter’s deductible in the case of damage, the price per kilometer and the amount of free kilometers.Tip: Are you having a hard time thinking of the right rate for your motorhome? Then take a look at comparable motorhomes. If there have been no problems with the key collection, you will get paid within 24 hours. It might take some time to appear on your bank account, depending of your bank. After returning you will fill in the Goform together. Any special things you will put down. Any additional costs like extra kilometers or damage will be dealt with by Goboony right away. Traffic fines or tolls will be taken care of by Goboony at a later point in time. Goboony will keep the deposit of the renter for 24 hours after returning. Has your renter caused damage, report this to us within 24 hours!